Osinbajo reacts to CJN Onnoghen’s trial – Royal Times of Nigeria. 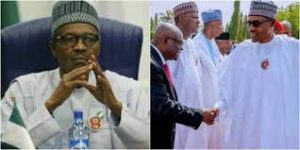 He also said President Muhammadu Buhari did not know about the plan to arraign the CJN until Saturday evening. According to him, the President had always made clear that institutions should not be interfered with. Osinbanjo said this today at the opening of the Online Publishers Conference in Abuja. He added that he is sad about the turn of events and regrets the current situation where a senior member of his profession is subjected to such judicial process. 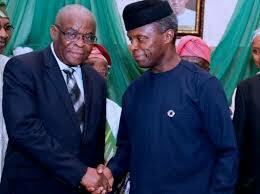 Justice Onnoghen is facing six charges bordering on failure to declare his assets and operating a domiciliary account, among other charges. The charges against him are based on a petition signed by the executive secretary of the anti-corruption research data-based initiative, Dennis Aghanya. The petition alleges amongst others things that the CJN failed to declare ownership of sundry accounts funded through cash deposits made by himself up to August 10, 2016.